My list of blog favorites continues to grow each and every day, but Cheetah is the New Black is one that’s been on the list since the very beginning. The best part about it? The blogger herself, Alicia Lund. She’s a serious style inspiration (just take a look here), and I love getting a peek at her New York adventures. I’m so excited to bring you her Style Notes feature today. 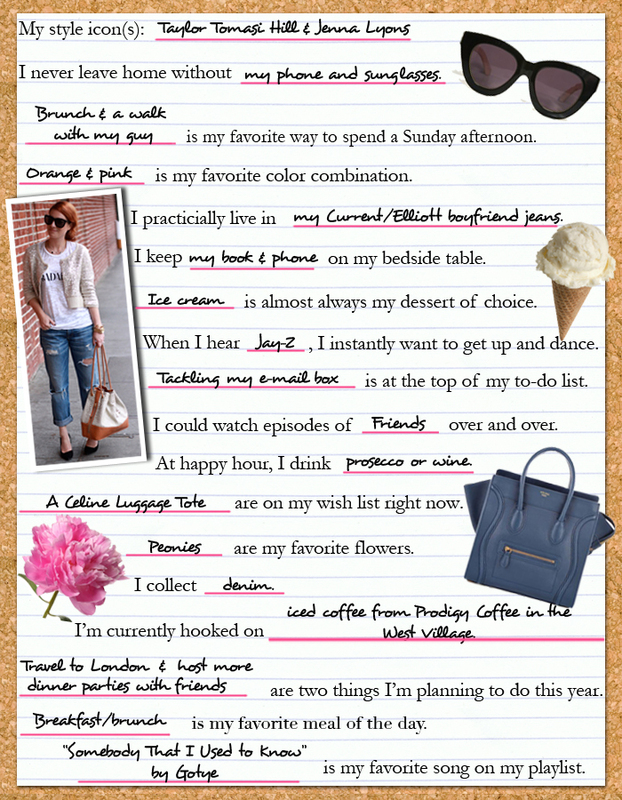 Take a look at her answers and then head over to her blog for more inspiration. I adore Alicia, not only is her style amazing but she seems so down to earth! Love seeing her featured here. I love Alicia's blog as well I always find inspiration from it. Great post. I love these interviews – keep 'em coming! My jewelry blog: joliejouel.blogspot.com – Robyn Rhodes necklace giveaway on the blog! Such a great interview Bradley! P.S. Your guest post is up and it looks fantastic! I love her blog, it's actually my favorite right now. Thanks for featuring her, I ended up finding your blog by the post on her Facebook of this feature. What a fun series! And I love Alicia and her blog so much, so it's fun to read her responses to these. Your questions are great!